Love this sign. Love that it totally relates to me and to Conference. Wasn’t it absolutely amazing!!! I love everything about it. I especially loved that Tracy somehow managed to score tickets practically on the floor. Wow! I’ve never been so close to the front, except on the couple of occasions when I actually was on a tour and got to go right up to the front and practically touch President Hinckley’s podium. I also loved that we got aisle seats. Now that wasn’t the ‘natural order of things’ but since my Tracy has a humongous hip injury, they sort of waived the requirement to go all the way over to the end. I loved that we sat next to the section of people with special needs and got to see them ‘sign’ all their songs. I loved that there was someone two rows back who had actually heard of Lyman, Wyoming, and had, in fact, lived here several years ago. It is such a small, small world when you go to Conference! I loved the sea of people in their Sunday-best laughing and talking and shaking hands. We all have so much in common when it comes to Conference. We all believe. We all love. We all strive to be better. We come from all over the world to be inspired, to be directed and to become more dedicated to the Gospel of Jesus Christ. Seriously, we saw an adorable woman from Africa dressed in her native dress and her hair was amazingly braided in something that must have taken ten hours. I hurried and handed Tracy my iPad so that she could get a picture and she was just scooting along as fast as her injured hip would allow in a total wave of 22,000 people, just snapping away. And, right then this beautiful ebony woman and her beautiful ebony husband found some other people they knew from their home country and they were hugging and slapping each other on the back and hollering and I said — oh, take more pictures! I wanted to remember their joy! I also love that Tracy makes such an effort to take her children. I love that, afterward, we eat somewhere special together and that we laugh and roll our eyes and often have to run to the nearest bathroom. I love that she continues to invite me to share the whole experience with them. I love the amazing quotes. I’m such a quote junkie! I love all the quotes showing up on facebook, all decorated and flowered-up and in a cute little colored box with a frame, practically before the talk is finished. Because I can read a quote over and over and remember exactly how I felt when I first heard it. And, it somehow becomes profound to me. Cool! I also love that Tracy writes a whole bunch of meaningful things in her journal and often reminds me of them through the following six months. “It is part of our condition as mortal beings to sometimes feel as though we are surrounded by darkness. We might have lost a loved one; a child might have strayed; we might have received a troubling medical diagnosis; we might have employment challenges and be burdened by doubts or fears; or we might feel alone or unloved. Oh, my goodness, how I loved President Uchtdorf’s talk. My only regret is that I won’t be able to teach a fourth-Sunday RS lesson on that amazing lesson. Totally and completely in love with President U. START WHERE YOU ARE. START WHERE EVER YOU ARE. Love that! Absolutely LOVE that. And here are a few dozen exclamation points so that you know, for sure, just how much I do. ! ! ! ! ! ! ! ! ! ! ! ! ! ! ! ! ! ! ! ! ! ! ! ! ! ! ! ! ! ! ! ! ! ! ! ! ! ! ! ! ! ! ! ! ! ! ! ! ! ! ! ! ! ! ! ! ! ! ! ! ! ! ! ! ! ! Ahhh, what a fun post! 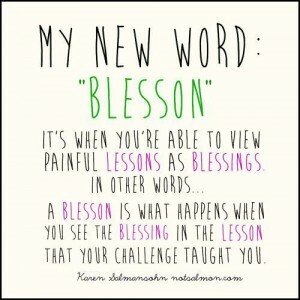 I love that word, Blesson. Did you see the chalkboard pics? I re-listened to President Uchtdorf’s talk today while I was washing dishes…oh, my goodness, I can’t wait to read it and underline and reread and savor and APPLY! Thank you for being our conference guru! We love attending with you! Next time it is your turn to get tickets!